On the way to Madiun from Solo. 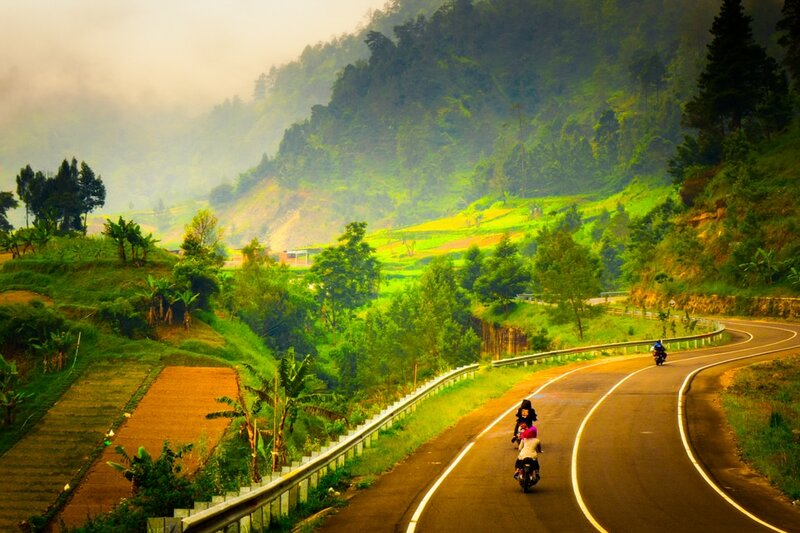 Lawu mountain road. Be Aware, Stop, Look, Listen, Enjoy, Learn and Take Pictures. 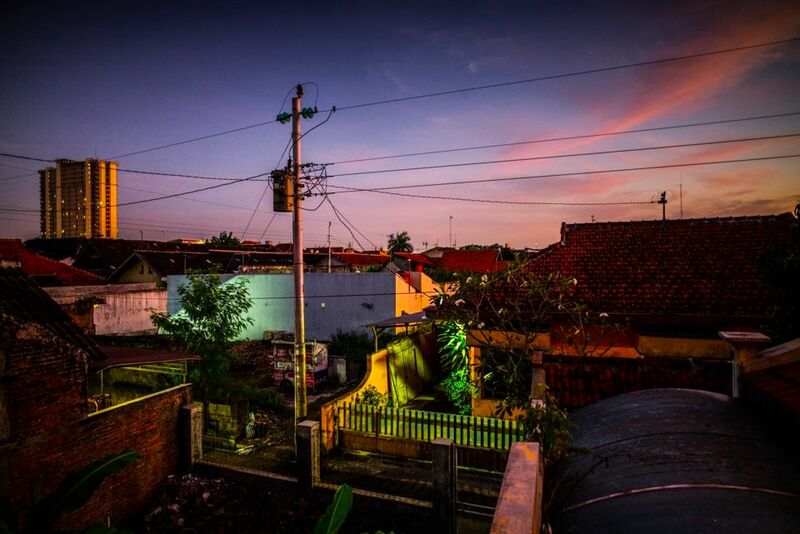 Seen from the balcony of the house in Solo city. 6:00 a.m.
the 6 th of June, I left the house in Solo. ART HOUSE. The local kids, who were bathing in the river nearby, joined in the photograph. 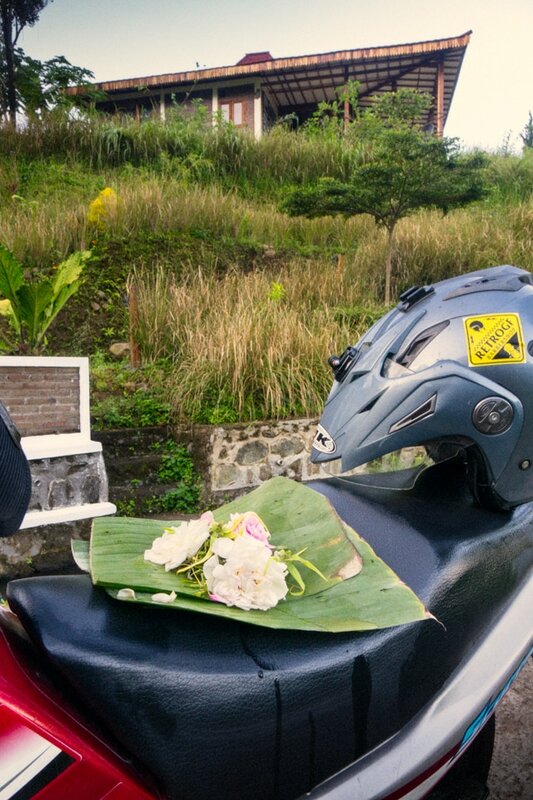 Someone from the village placed flowers on the motorbike seat. ​I am travelling during the month of Ramadan. ​Because most people are fasting, many warungs and restaurants are closed. So the roads are not busy till sunset. Making for safer driving. 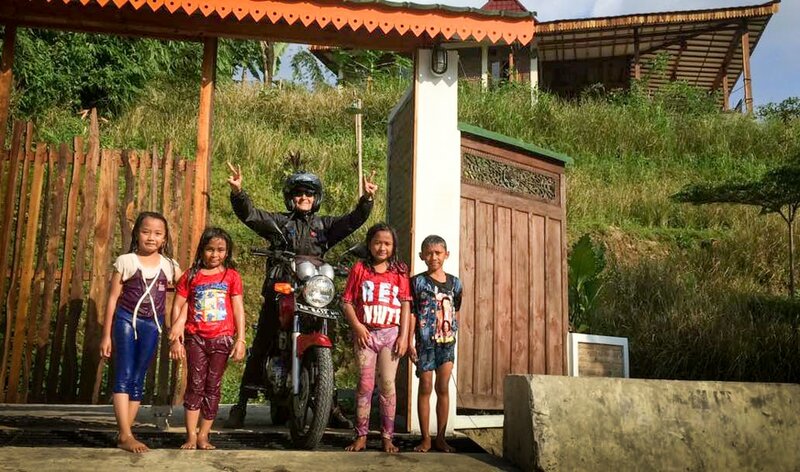 But an hour or so before sunset, thousands of people will hit the road on motorbikes and cars and congregate around the many food stalls created for the closing of the day of fasting. ​I will be one of the revellers. JUST START OFF / And let the adventure carry you away.